This table contains data describing ATCEMS performance in delivering patients with time-sensitive conditions (aka “Alert Patients”) to receiving facilities in a timely manner. The call-to-door interval begins when the first 911 call for an incident is answered in the Communications Center, and ends when the patient is recorded in CAD as arriving at a receiving facility. Names were tabulated using the exact spelling of the baby's first name on the birth certificate.  Names from 19,896 birth certificates of births within the City of Austin during 2017 were used to create the data set.